Flatten your stomach, build muscle, and get those abs to start showing with the Runtastic SitUps App! 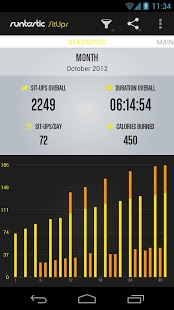 With the free Runtastic SitUps app, you can now achieve your core strength and midsection fitness goals. 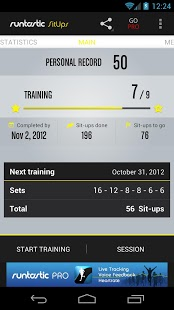 The app is your personal sit up trainer, which implements an easy-to-follow, scientific sports training plan. The progressive plan will help you build strength and see constant improvement in your overall fitness and your overall strength training capacity.